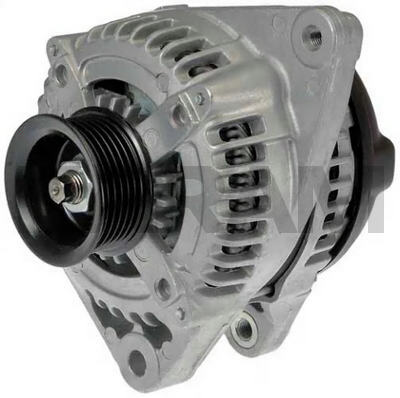 This is a NDenso Alternator for the 2004-On Toyota Camry With the 3.0L Engine, and 2004-On Toyota Solara With the 3.3L Engine. 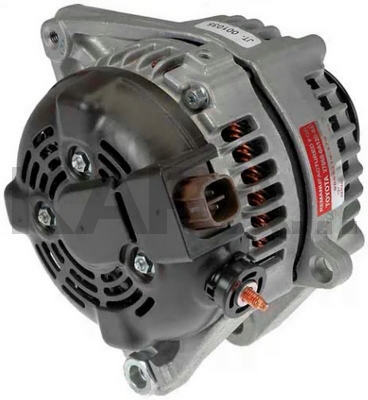 This Alternator Mounts Similar to Other Toyota's - Double Mounts at 6:00, Plug at 3:00 (Side), B+ Stud at 4:00 (Side), and Top Ear at 10:00. This Unit Has an Enclosed Stator, a "Boss" Hole on the DE Frame (Described Below), a Threaded Hole on the SRE Frame (at About 1:00) Used as a Harness Clip Mount, and a Conventional 6-Groove Pulley. There are Many Versions of the 11033, Depending on Whether the Cars Were Built in Japan, or in North America. The Differences are Whether the Stator is Widely Exposed, or Enclosed, and Whether There is a "Boss" Hole on the DE Frame at About 4:00, as Viewed From the Rear of the Unit. This "Boss" Hole is Not Used in the Applications Seen, and May Be There for a Pre-Assembly or Assembly Reason (?). This "Boss" Hole is Only Present on the USA Built Cars, and the Toyota Dealers Claim the Alternators Between Countries Are Interchangeable. All Versions of the 11033 Have a Threaded Hole on the SRE Frame (Described Above) for a Harness Clip to Be Mounted To.